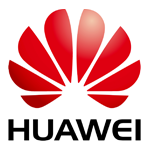 Just like every other manufacturer, Huawei would really appreciate it if you paid them some attention starting next week. Once Mobile World Congress starts, it'll be a mad melee of journalists, PR managers, presenters, and executives all scrambling to either show off or see the latest hardware. 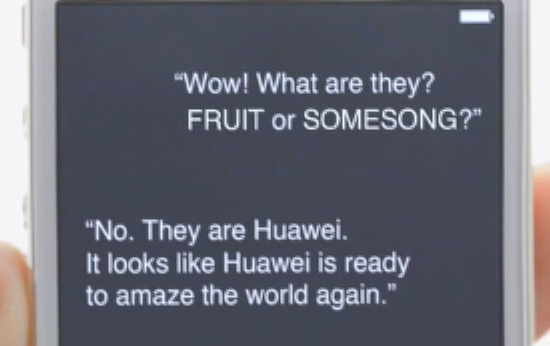 Huawei is being a bit proactive with their announcement trailer, poking fun at the world's two biggest phone makers in the process. IDC says Huawei is currently number three. Pretty standard stuff - Huawei has at least two tablets and one smartphone to announce. But take a close look at the video's "I Can't Believe It's Not Siri" readout, and you can see that the rube holding the phone chose his questions very carefully. Apple's too cool to show up to trade shows, and Samsung has been holding their own parallel events for big reveals for the last several years. Maybe that's why Huawei felt the need to poke the bear. Whatever their motivation, we'll see if they've got the goods to "amaze the world again"on February 23rd in Barcelona.